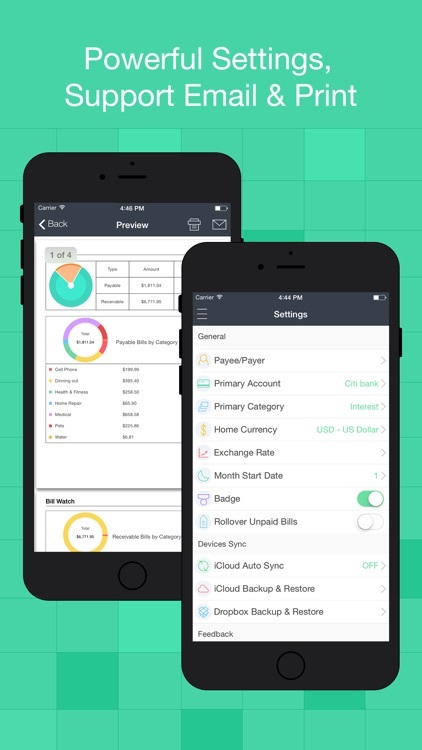 You need an app to organize your bills, keep them in good order, track their payment status and make sure they are paid on time. Bill Watch is the best choice. Bill Watch keeps your income and expense bills in one place, reminds you paying bills, its mission is to help you become late fee free and you don’t need to always worry about that if you have bills to be paid nearly, helps to simplify and stress release your life. You add your bills which need to be paid or got into this app, Bill Watch will keep your bills by Calendar or List view, remind you paying them on time, and generate reports to show where you money comes and goes. 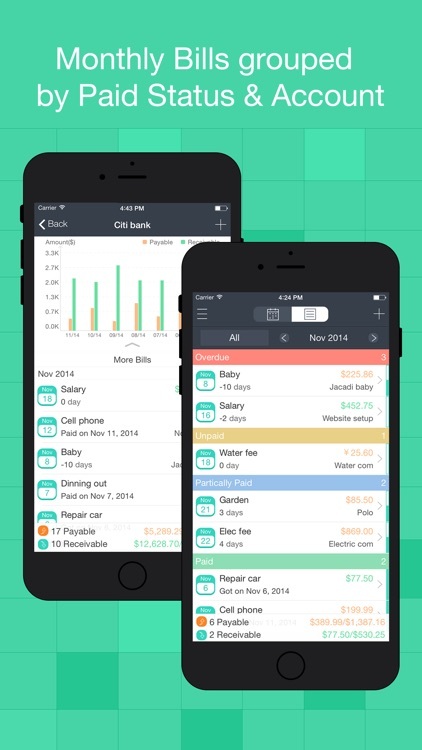 ⁃ Track both income and expense bills. 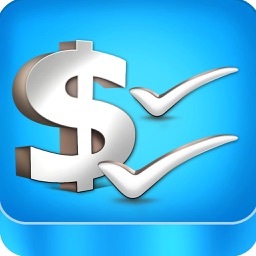 ⁃ Track bills amount, status, payment amount, account, category and payer/payee etc. ⁃ Create repeating bills with or without an end date. ⁃ Custom in advance remind days and time. ⁃ Set bills as auto pay or not. 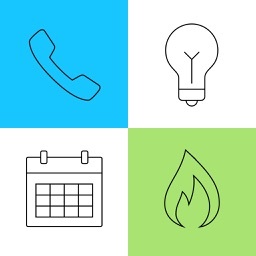 ⁃ Add full or partially payments for a bill. 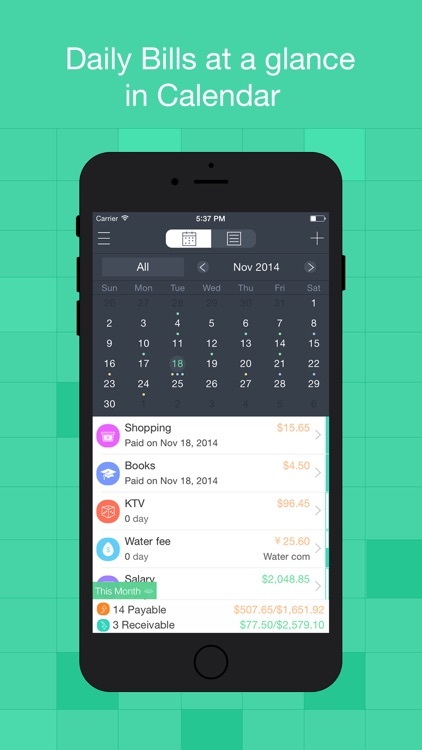 ⁃ Calendar or List view to check bills. 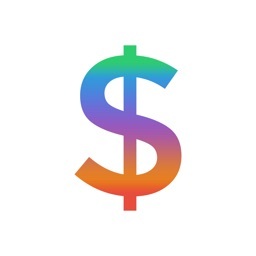 ⁃ Track bills history for each account. ⁃ Search bills with or without a date range. 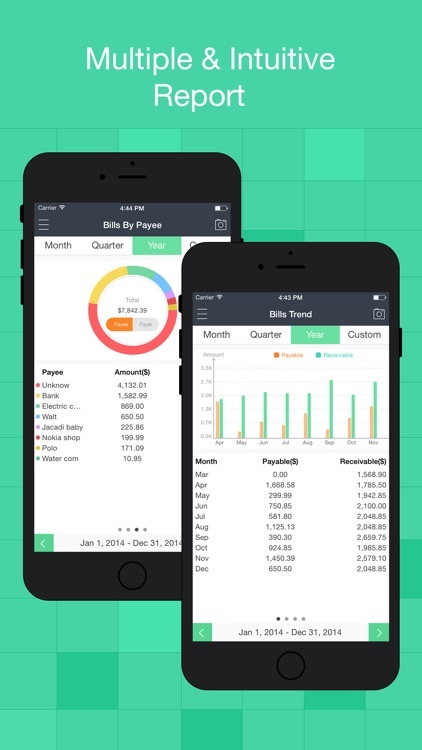 ⁃ Bills reports including bills trend, bills by category, bills by payee/payer and bills by payment amount. 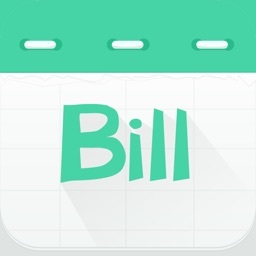 ⁃ Export bills data by email in format of CSV, HTML or PDF. 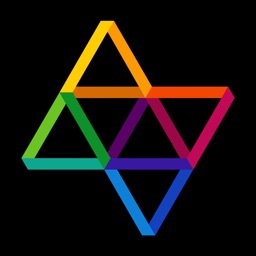 ⁃ Print bills data by AirPrint. ⁃ Supports Touch ID as password. ⁃ Custom month start day. ⁃ Dropbox and iCloud backup and restore. ⁃ iCloud Auto Sync between devices. ⁃ Adds 3D Touch function.